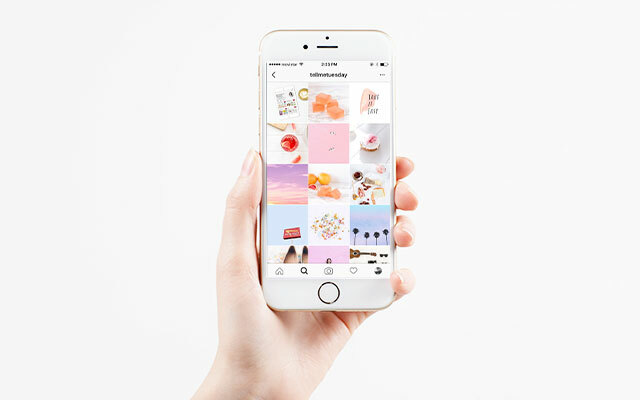 The latest Instagram app update was one of the most exciting and controversial yet. The release of my new obsession Instagram Stories (apologies to Snapchat), the ability to zoom in on an image, plus the drafts feature make this a pretty damn fun release. 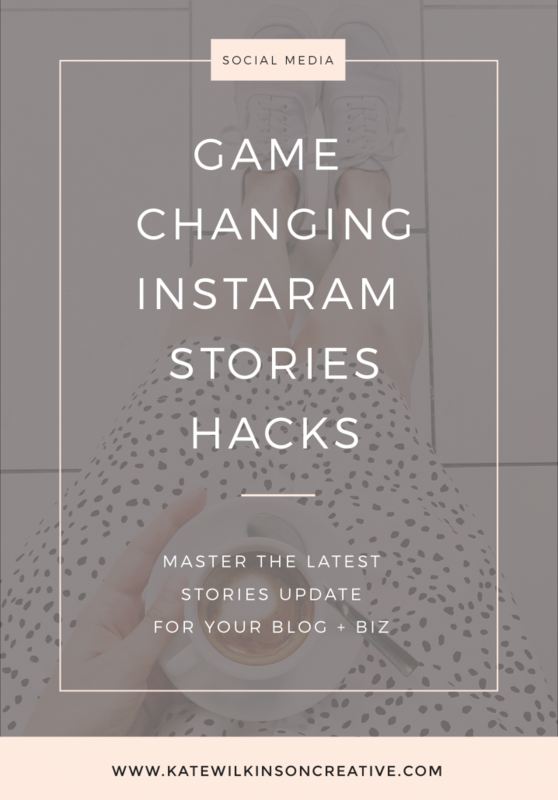 For those of you who are still feeling a little baffled by how to manoeuvre the Instagram Stories feature, I’ve created a series of tutorials for you to really take advantage of its super-fun features. For someone who has never really gotten into Snapchat, I absolutely love the Instagram Stories feature. One downside however is that your favourite Instagrammer’s stories can get lost amongst the masses, especially if you follow hundreds of accounts like I do. Step 1: Open your Instagram app on your mobile device and click the Home icon to load your Instagram feed. Step 2: At the top of your feed you will see all of the Instagram Stories, each profile photo with a colorful ring around it. Step 3: To hide an account from your Stories feed, firmly hold down your finger on their picture, then select “Mute [username]’s story” from the pop-up menu. Step 2: Scroll your finger right to left through the Instagram stories until you are at the very end of the feed. Here you will see all the accounts you have muted. Step 3: As you did before, firmly hold down your finger on their picture, this time selecting “Unmute [username]’s story” from the pop-up menu. Just like Snapchat, the fun of Instagram stories comes from real, live, unfiltered moments being shared instantly with your followers. There are however some times when you can’t (or don’t want to) post straight away. This feature was a godsend when I was travelling overseas and didn’t always have access to the internet. When we were out-and-about I could snap away on my camera roll to my hearts content, and once I was back in our apartment with wifi I could share my day with my followers. There is a clause though: to keep the content you’re sharing fresh and current, you can only upload images taken within 24 hours (or uploaded to your camera roll within 24 hours). Step 2: Hold down your finger in the middle of the screen and drag it down the screen. This will reveal the upload feature, with all photographs you have taken (or uploaded to) your camera roll in the last 24 hours. Step 3: Select your image of choice, edit as you like, then click the white “tick” button to share. This image will then be visible to your followers for the next 24 hours. There’s no limit to the the number of images you share, so GO CRAZY GIRL!! Hint: If you want to share graphics you have designed in Photoshop or Canva, you need to either email, Airdrop or Dropbox these to your mobile device and save them to your camera roll. Important: as you start typing your fellow Instagrammer’s handle, suggested accounts will appear below your text. Be sure to select the account from the list, otherwise the tag will not be complete. Now when your fans are watching your story they can click on the Instagram account tagged and navigate directly to their account. Ok, so this one isn’t related to Instagram Stories, but this latest release from the folks at Instagram is one of my favourite from the app: the ability to save your images as a draft (hallelujah!). If you’ve edited your image in Instagram but you’re not ready to post it straight away, you can save this image as a draft, and next time you upload an image to Instagram it’ll be ready and waiting. Step 2: You will then be promoted to either discard or save the photo. Click “Save Draft” to save your snap for next time. The image won’t be saved to your camera roll, however next time you go to post an image on Instagram, it’ll be there saved as a draft. Do you use the Instagram Stories feature? Or are you a diehard member of #TeamSnapchat? I’d love to hear your thoughts in the comments below! Thanks for the post. I’m still not clear…What exactly is an Instagram story? Are we actually just hiding the person’s feed if we choose that option? Or is this a feature where you can somehow do something different on Instagram? Thank you! Hi Joleene! It’s a new feature in the latest update of Instagram. If you update your app to the latest version you’ll see everyone’s “Stories” at the top of your home feed. It’s a very similar feature to Snapchat, and to view a Story, simply click on a profile photo with a colorful ring around it. Let me know how you go. Thanks for this Kate! I have wanted to share some stories but couldn’t do it because I had no internet. Now, thanks to you I know how to do it!!! Yay! 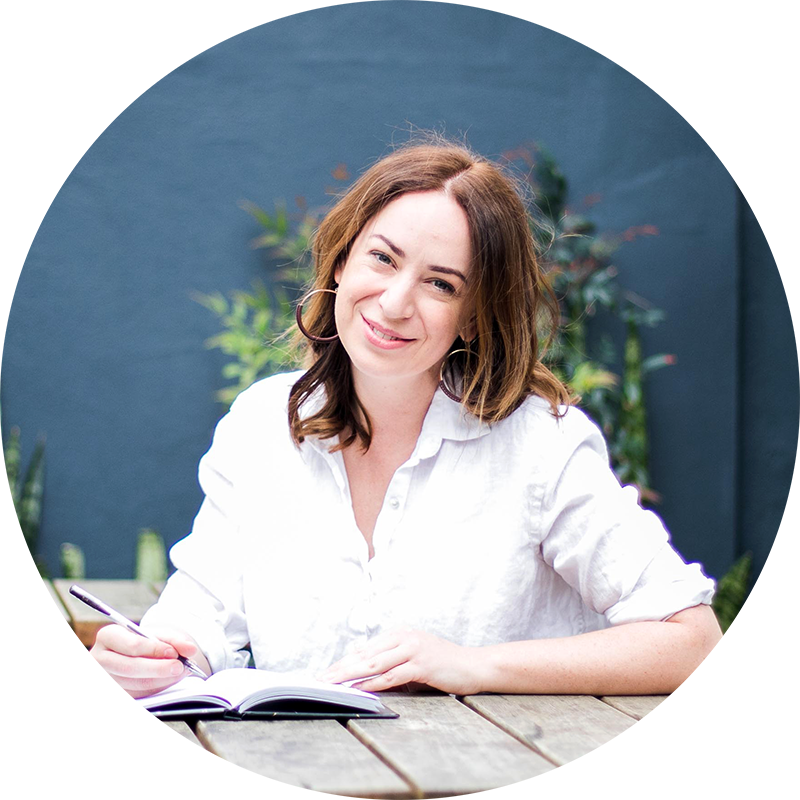 Amaia, I love hearing how these simple little tips help my readers. Rock on with your stories, girl! I just used one of your tips! Thanks! Elissa, I’m thrilled! And if you have any “hacks” you’d like to share with this community please pop them below. These tips are AMAZING! I especially didn’t know you could upload photos to your stories, my life has changed! Thank you for sharing!! Girl, you are SO WELCOME! Enjoy Instagram Stories and I look forward to seeing what you create.